Atomic Force microscopy is a wide spread technique in Nanosciences and Nanotechnology to characterize morphology and/or local interaction of surface sample. Thanks to a specific mode based on a two-pass procedure, short and long-rangeinteractions can be distinguished at the nanoscale;it is the more usual mode to perform electrical force microscopy and magnetic force microscopy. In this seminar I will present some applications of this two-steps detection procedure to study: (1)electrical properties of (semi)conductive materials or nanostructuresthat are used in micro/nano-electronic devices; (2) magnetic force induced by an array of micro-magnets on super-paramagnetic objects using custom-made MFM colloidal probe, these micromagnets have great potential applications in biological cellular sorting. The AFM probe is a powerful nano-sensor, but it can also act as a nanotool to inject electrical charge or manipulate object at the micro and nanoscopic scales. To illustrate this capability, I will focus on (sub)microsphere manipulation in 2D and 3D thanks to a custom-made dual scanning force probes station equipped with a force feedback system. Finally, I will discuss the potential of these local probe techniques to study physical properties of silver nanowires that have great potential applications in soft electronic devices. In 2000 Florence Marchi received her PhD in material science from the University of Marseille II after a co-tuelle thesis with the University of Leeds in UK. During this period her work was related to Nanolithography assisted by scanning probe microscopy. Since 2001, Florence Marchi is associate professor at the Joseph Fourier University of Grenoble, she is currently working at Néel Institute for her research activity. Her research subjects are related to scanning force microscopy techniques and instrumentation development to study electrical and magnetic properties of material and structures or to manipulate objects at the micro and nano-scale. In parallel of these research activities, Florence Marchi got involved in the development ofNanosciences and Nanotechnology educational programs of UJF. 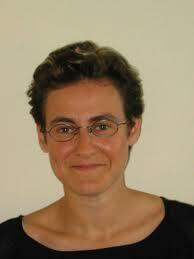 In 2003 she co-established and was in charge of the Nanoworld' platform at CIME-Nanotech until 2008. In 2010, she received the price of Innovation pédagogique' at the CETSIS conference for the interactive NanoLearner station. Thanks to this station based on virtual reality combined with force feedback system, students and the general public can explore the Nanoworld through their human senses.